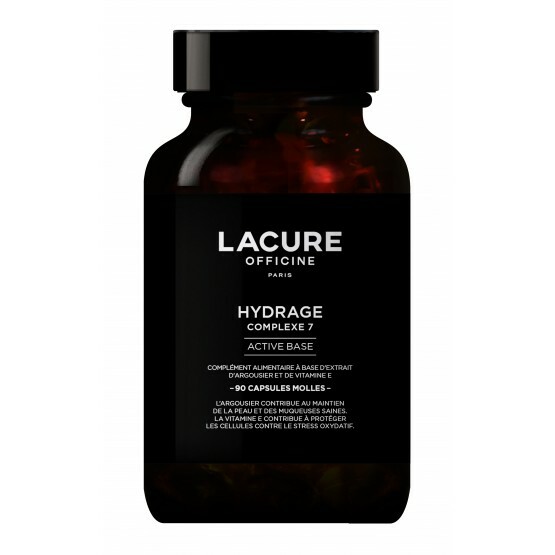 HYDRAGE COMPLEX 7 is a food supplement based on sea buckthorn extract and vitamin E. After the age of 40, the skin deserves our attention, and can be looked after from the inside. 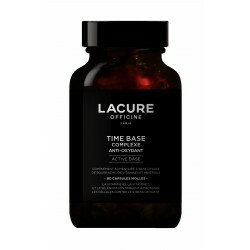 LACURE Officine proposes a complex formulated with sea buckthorn and vitamin E with complementary properties: • The benefits of sea buckthorn date back to Antiquity and it is used in traditional Chinese medicine to treat all sorts of skin problems. It helps keep the skin healthy. 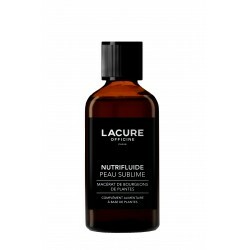 • Vitamin E plays an essential role in protecting the membrane of all of the organism's cells. It is an anti-oxidant and contributes to protecting cells against oxidative stress. Take 3 capsule per day with a large glass of water. Food supplements must be used as part of a healthy lifestyle and not be used as a substitute to a varied and balanced diet. Keep the product out of the reach of young children. Do not exceed the recommended daily allowance. For adult-use only. Do not use on children. Do not use if you are taking anticoagulants. Keep in a clean and dry place, away from light. Extract of sea buckthorn fruit pulp (Hippophae rhamnoides) titrated in palmitoleic acid - Capsule: gelatine, humectant: glycerol, colourants: yellow iron oxide and red iron oxide - Vitamin E (D-alpha-tocopherol).